When I first profiled Muttville Senior Dog Rescue, the organization was in its infancy. Founder Sherri Franklin worked round the clock to fundraise, secure foster families, and provide care for the animals in her charge. Four years later, the organization is celebrating Max, its 1000th adoption. 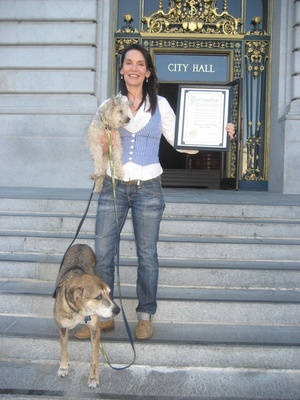 And, San Francisco Mayor Ed Lee has declared May 10, 2011 Muttville Senior Dog Rescue Day. Franklin’s mission to “change the way the world thinks about and treats older dogs” seems to have struck a chord. The stories behind the graying muzzles and wise eyes illustrate courage when it’s least expected — and compassion when it’s needed most. Even Oprah Winfrey was impressed, selecting Muttville to be part of her “favorite things” episode. And while Oprah’s seal of approval has helped spread awareness, the number of senior dogs in need does not seem to be getting smaller. Franklin adopts out between four and eight of her dogs per week, yet she receives 500 requests to take in dogs during that same time period. As in any area of animal rescue, the work is never done. 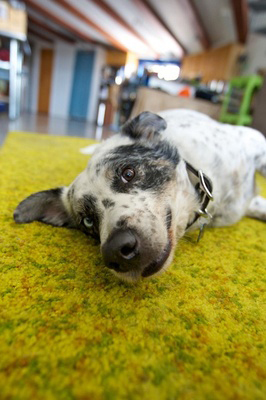 But DogTime applauds Franklin, one woman making a big difference. Congratulations to Muttville on this tremendous achievement, and kudos to Max… and the 999 dogs before him who were given a second chance. Live in the San Francisco Bay Area? Join Franklin, Max, and Muttville supporters at Civic Center/City Hall Plaza at 6:00 pm on May 10th for festivities and an informal parade. Or, ensure a better life for senior dogs year round by becoming a Mutt Guardian. For more information on all aspects of Muttville Senior Dog Rescue, visit muttville.org. thank you so much for what you do! i have a senoir, and he’s the best dog i’ve ever had! !